Free daily tours of Maui, Free WiFi, Free parking, Free internet computer, Free pool table/football/ping pong, Free Hot tub, Free pancake breakfast, Free security safe, Free luggage storage, Lockers in dorm rooms, HD TV with cable/movies, Outdoor BBQ, Coin-up laundry and Large fully stocked kitchen. 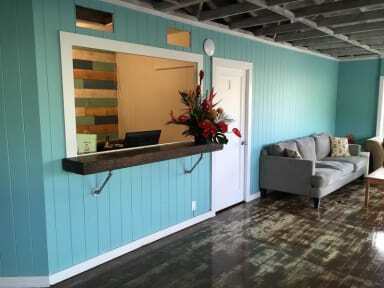 You will find Aloha Surf Hostel nestled in the historic town of Paia, Maui. Known around the world for its water culture Maui is the place to be for water sports! 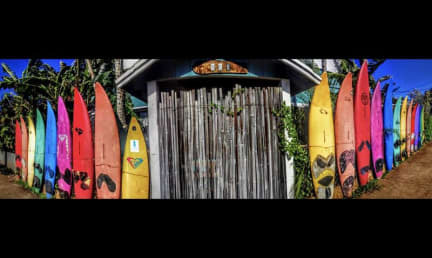 The Hostel is located between two of our most famous surf spots, Ho'okipa and Kanaha (kite) beach! Whether you came for the waves or the wind we have you covered! Looking for clean affordable housing on Maui's North Shore? You came to the right place! Aloha Surf Hostel has both private and dorm rooms for the budget minded traveller. Our dorm rooms consist of 6 person dorm style rooms. Storage and linens are provided in each room. Our private rooms have either two twin or one queen size bed along with reading lights and side tables. Check in from 14:00 to 22:30 . Our reception is open daily from 8:00 - 22:30. If you will arrive after 22:30 you must call us before you arrive to make arrangements for late arrival. We do not not accept children. You must be 18 or older to rent a dorm room. We require that you present a non-USA passport or a plane ticket departing Maui at check in. We require a $10 dollar cash key deposit at check-in from every person in a dorm room and for each private room.